Today I found a memory usage comparison test for Firefox 2 and Firefox 3 browsers in ZDNet. However, I think the measurement that was used is not appropriate. So, I tried to create the comparison myself, including Opera 9 and Internet Explorer 7 browsers, and the results were... unlike the expectation. 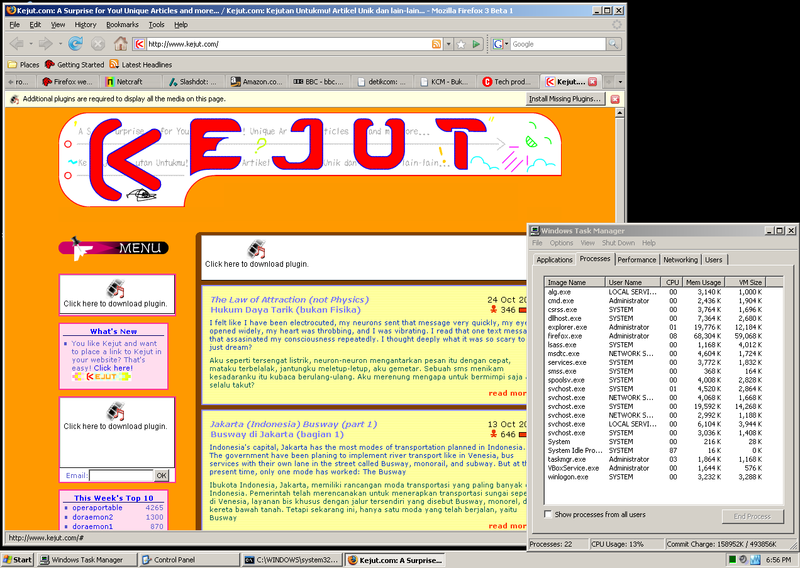 Hari ini aku menemukan perbandingan pemakaian memori untuk browser Firefox 2 dan Firefox 3 di ZDNet. Tapi, ukuran yang dipakai menurutku tidak sesuai. Jadi, aku coba buat sendiri tes berbagai browser termasuk Opera 9 dan Internet Explorer 7, dan hasilnya ternyata... tidak sesuai dugaan. I saw the article titled "Memory test - Firefox 2.0.0.9 vs Firefox 3.0 b1". 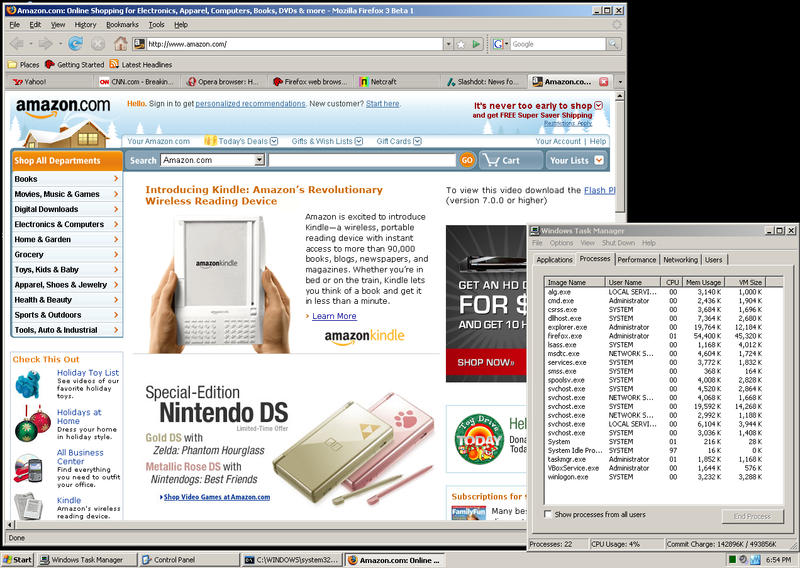 I am interested in that kind of browser comparison, so I clicked at the screenshots there. But, to my disappointment, the memory usage that is measured is determined by "Memory Usage" column of Windows Task Manager. It is NOT the correct method of measuring memory usage, because it only indicated how much memory is "active", not the total memory allocated by the program. To get how much memory allocated, the correct column is "VM Size" in XP or "Commit Charge" in Vista. Actually programs such as TaskInfo are able to reduce the "Memory Usage" of any program (e.g. 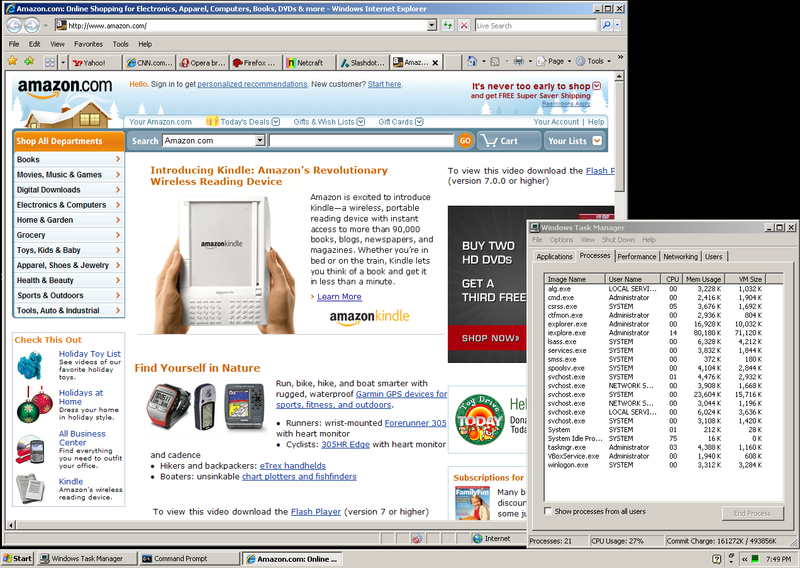 5 MB only for Firefox 2). Hence, "Memory Usage" is not a good measure for memory usage. 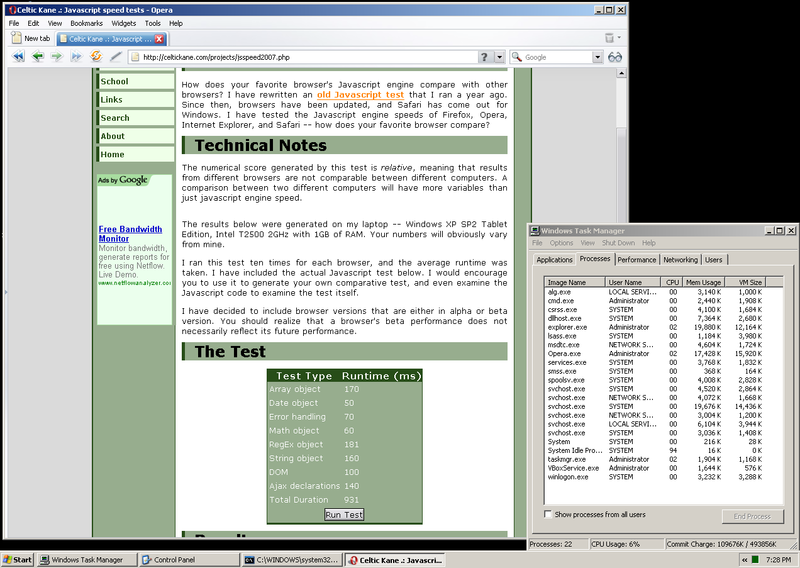 I ran all the test in an almost-clean Windows XP installation. 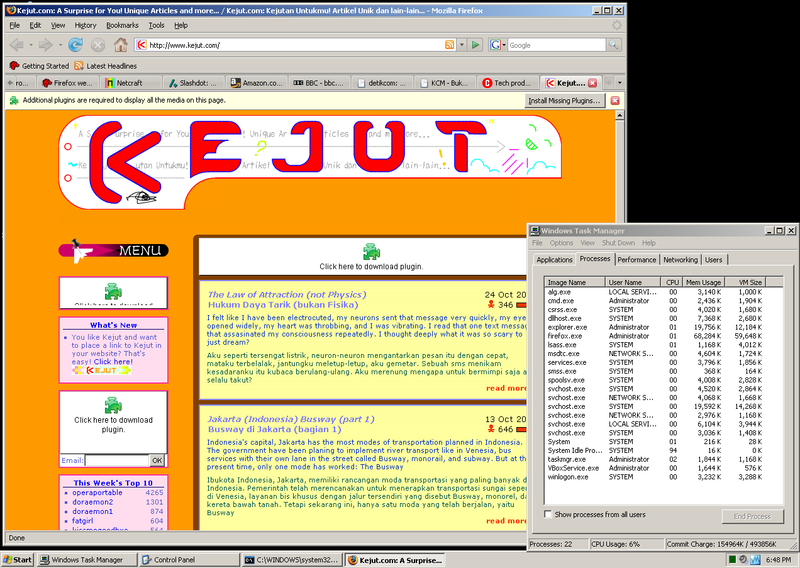 Firefox's profile directory were set differently for Firefox 2 and 3. Screenshots with Task Manager open are always available :) No plug-ins (even flash) or extensions were installed! 19.9 MB 22.8 MB 4.81 MB (yeah!) Who knows? I set the browser's start-up page to be blank. Then I started the browser and here are the memory usage. 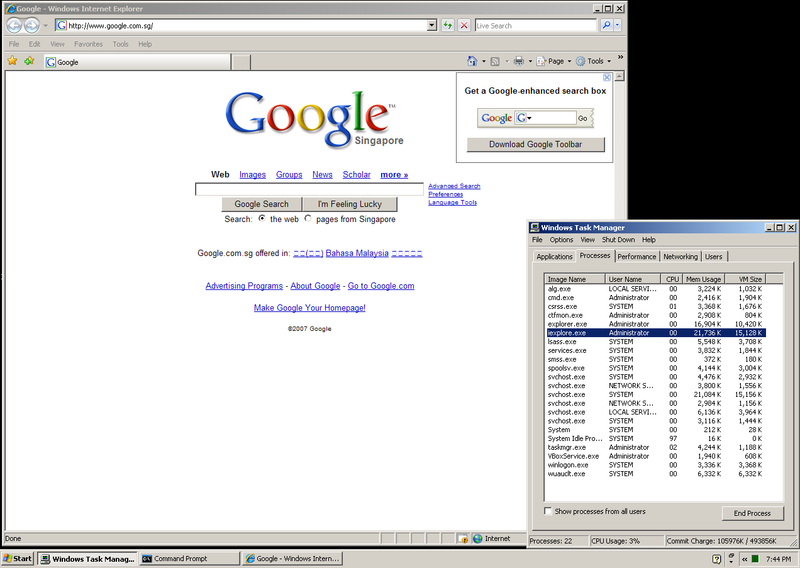 I opened www.google.com which redirected me to www.google.com.sg since I am currently in Singapore. Here we can see the worseness of IE starts to appear. 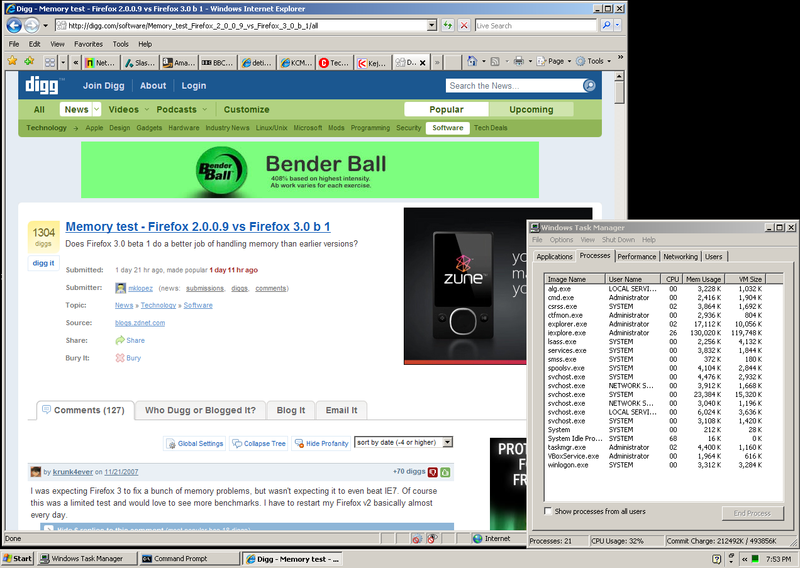 I am quite disappointed knowing that Firefox 3 is not better in terms of memory usage than Firefox 2. IE? WOW. After all are loaded, I clicked on each of the 7 tabs two times to let the browser actually draw the page elements on screen. Then I opened 5 more sites below and clicked each of them again. 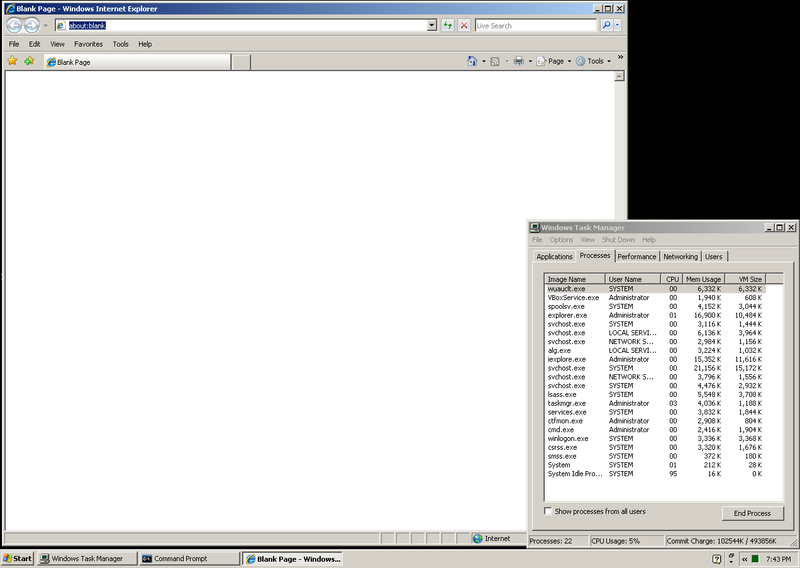 I calculated the difference in memory usage before and after opening the last page. 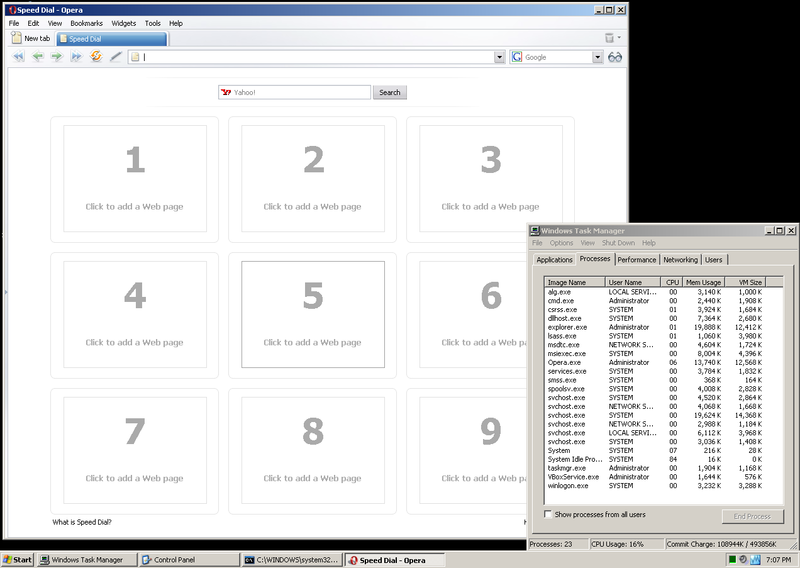 I hoped this was the best thing in Firefox 3, but my hope was wrong! Firefox 3 still consumed much more memory than Firefox 2. WHY? I don't know. Opera, as I expected, still used much memory, because I can click the trash-can and open closed tab, and the opening will be very fast, looks like the pages are still in memory. Nothing interesting about the memory usage... but !? 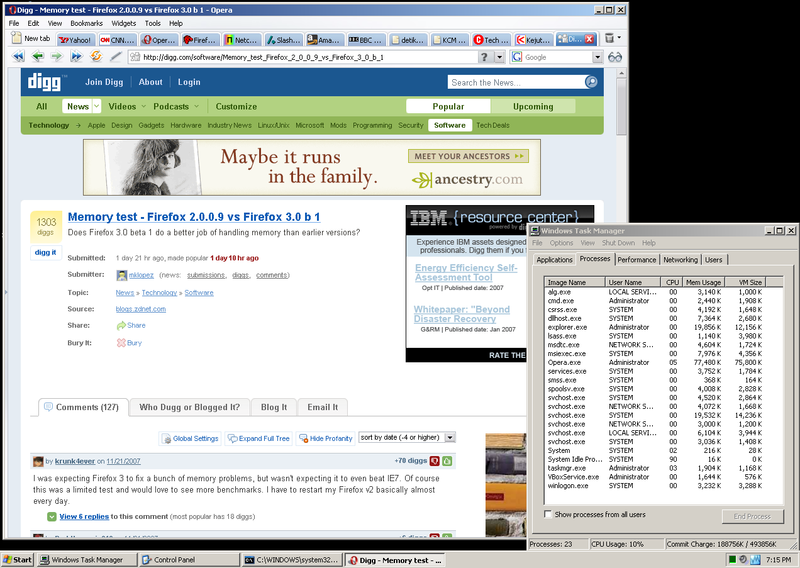 how come Firefox 3 is very slow? I tried not only once, but more than five times and it was still about the same. Opera uses slightly more memory than Firefox, and IE is really a memory hog. When switching tabs I needed to wait about ~0.4 seconds in IE but it was instant in Firefox and Opera. 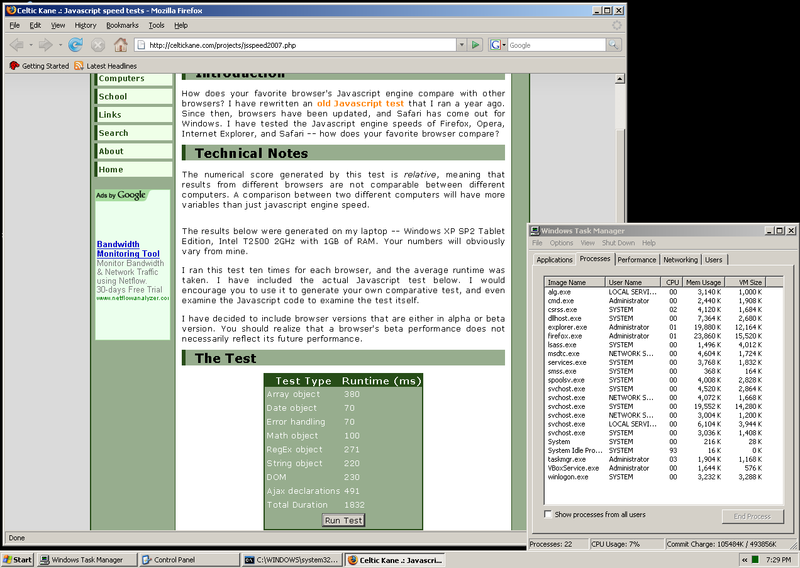 The web pages you (And Adrian Kingsley-Hughes) used for your tests both serve up ads. These ads can be different each time the page is downloaded or refreshed. 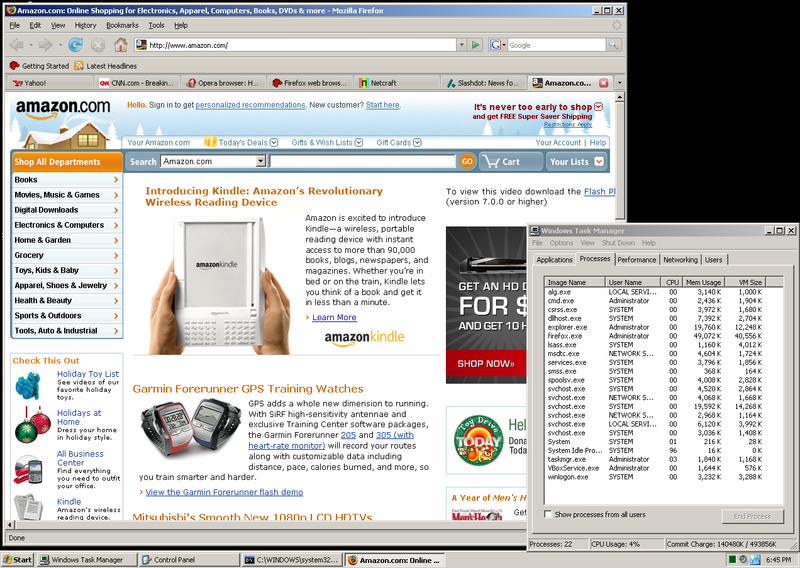 In step 3 above, the Opera page is clearly showing a different ad. There must be some variation in the size of ads served up- a Flash animation will be much larger than a simple banner. How much does this variation in ad size affect the result, I wonder? Im my humble experience FF is a complete memory hog compared to IE. Not sure what you are doing wrong but IE is faster and trimmer. From your comment I saw that you are using IE 6. 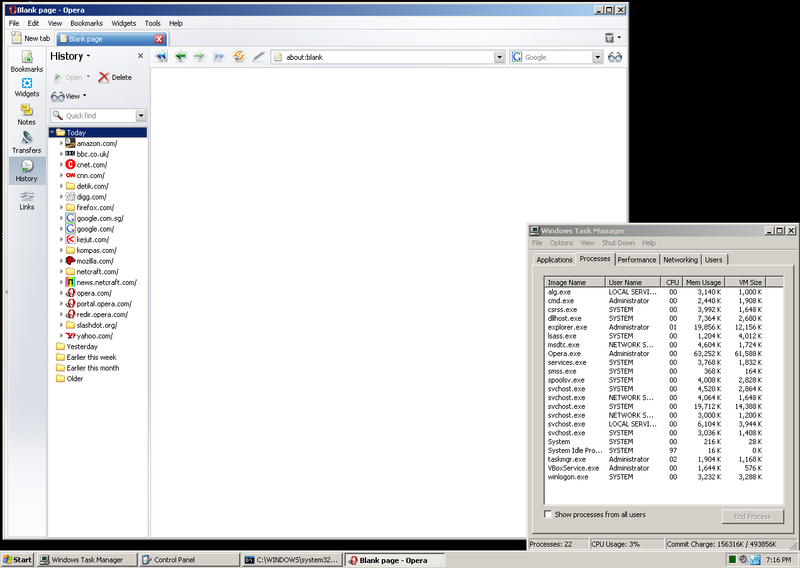 IE 6 uses much less memory than IE 7. 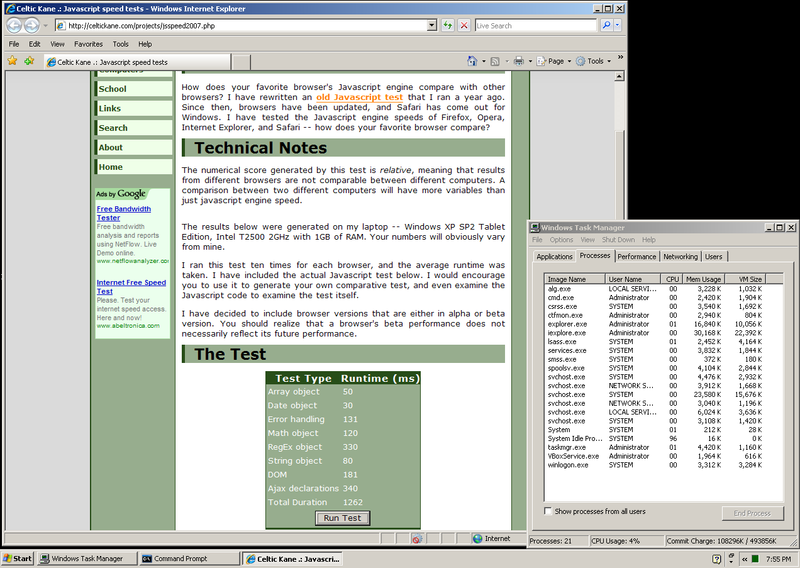 Although I have not tested it formally, IE 6 uses about half the memory used by IE 7. 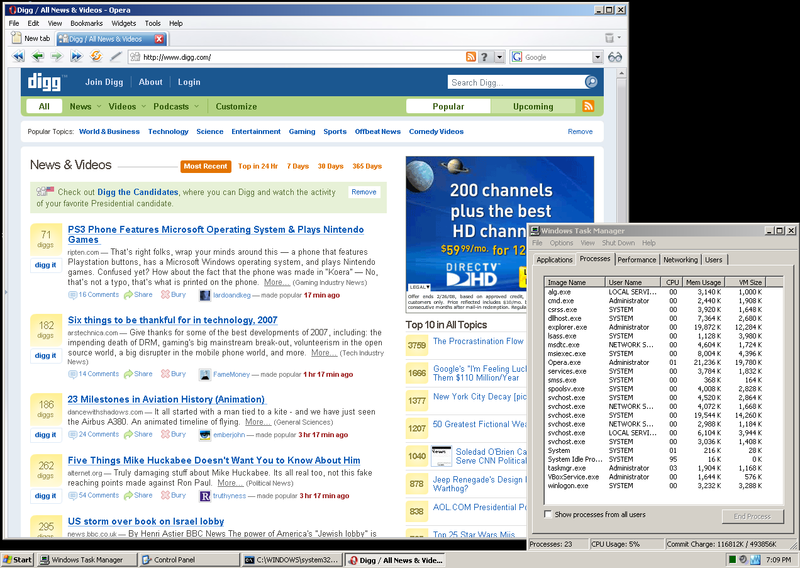 IE 6 may use less memory than FF. 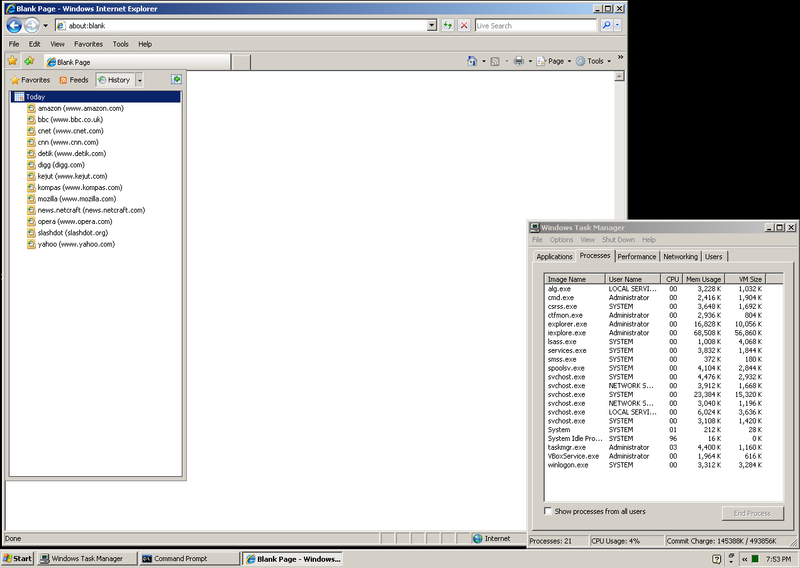 On Windows 2000 at least, the VM number may be either greater or smaller than the Memory Usage number. Processes like Outlook with many windows open but minimized can have VM twice the size of Memory Usage, while the System Idle process shows only Memory Usage (16k) with 0 VM. This leads me to believe that the actual correct measure of total allocated memory is the sum of the two. And the distribution between the two can affect how that process influences or is influenced by memory swapping of other processes. The PageFaults number is a measure of the amount of swapping in and out of Virtual Memory the process has done since startup. The Commit Charge number may be more like a total, but I cannot say authoritatively on that. Tampaknya Firefox2 masih yang terbaik. 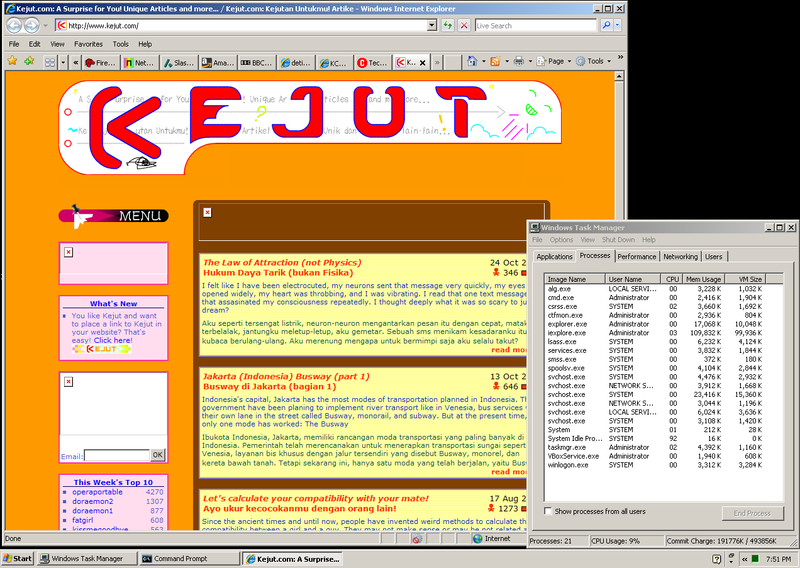 wow,bagus sekali analisismu bang,ini membuktikan keunggulan n kelemahan masing2 browser..thanks,useful sekali bwtku. firefox 3nya kan masih beta.. tunggu aja versi fullnya..
agreed, VM (virtual memory) never seems to be included in memory usage of programs when this is clearly important, sometimes the physical memory usage is much lower than the VM usage. surely an improvement to the tests would be to give VM usage and or a total memory usage and maybe an accumulative memory used when leaving the browser open or is that the same as the memory clean up? 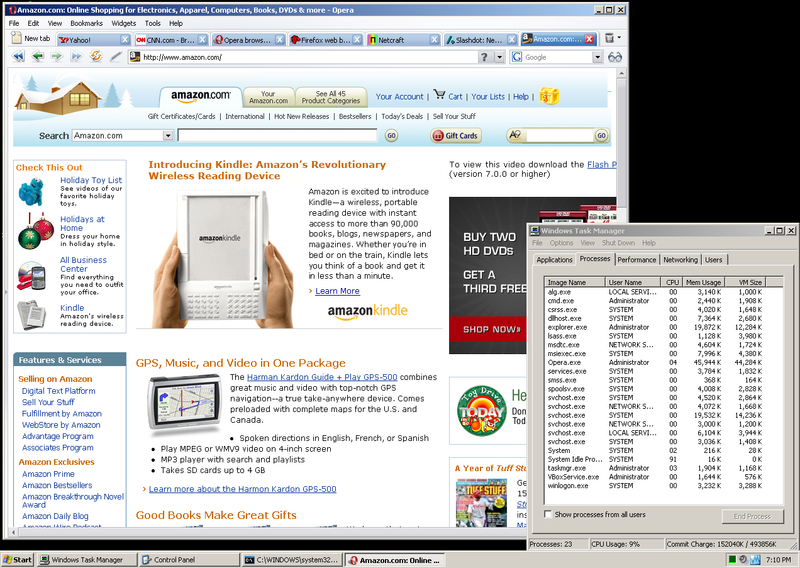 I wonder how Maxthon would compare? While it uses IE's rendering engine, that does *not* mean it will perform similarly to IE. I could use the engine from a Chevy truck in a boat, and obviously those two vehicles would have very different usage statistics. 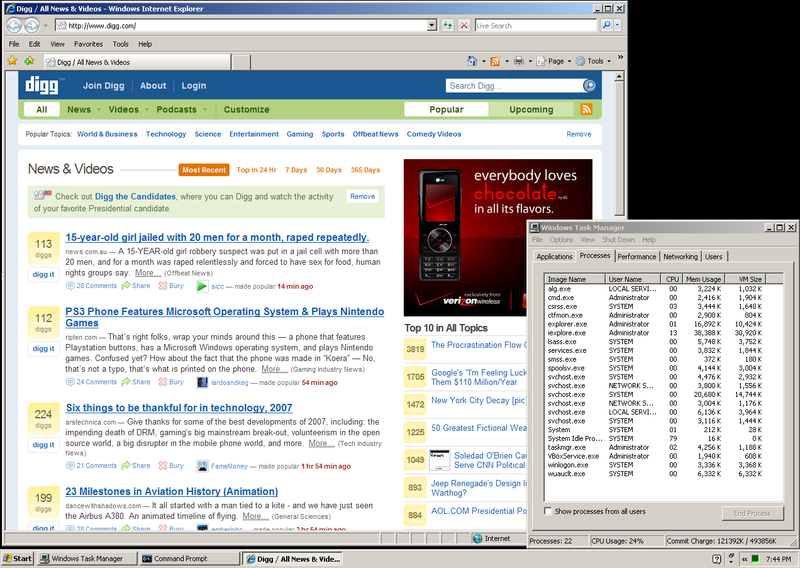 I use it (on top of IE6, can't find a reason to switch to IE7) and find it consistently uses much less memory than FF 2. And for some reason, after a few hours usage I have to restart FF because of it's memory and pagefile usage, sometimes above 350MB for each (and I only have 512MB RAM/1024 pagefile)! This is a very good article. I've been using Opera for a while now. I don't know how memory efficient it is, but it definitely feels much faster than Firefox. Again , good article ! well done tests, but the first beta of FF3 was still not optimized, which could explain the high memory consumption and speed drop. Try beta 3 or 4, and the performance gains should be significative. Great article. Thanks for the effort. 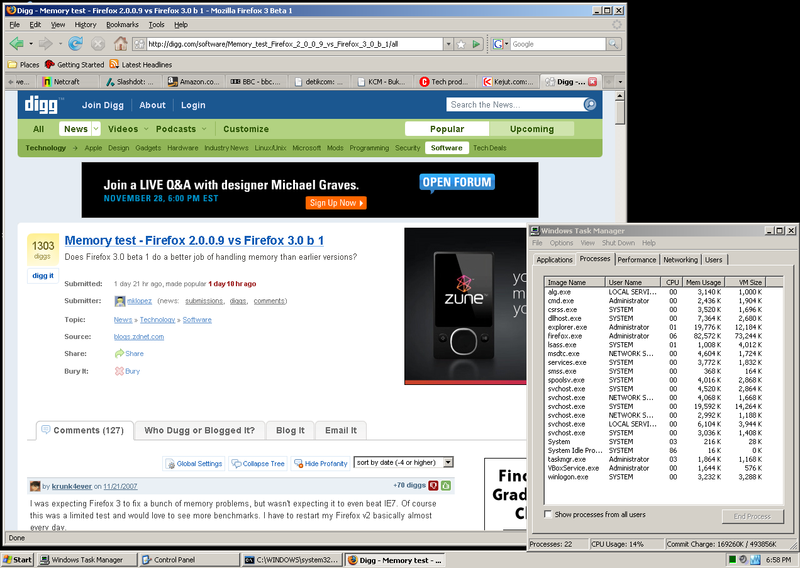 Don't really see need to to change from IE6 on my old Latitude 600! Just get more memory. Less disruption. Anda bekerja berjam-jam sesuka Anda untuk mengumpulkan Dollar Anda. Setelah selesai, ingat selalu untuk Log Out. Silakan masukkan dulu No Account E-Gold Anda di menu OPTION, Jika Anda belum memilikinya Silakan daftar gratis, Lihat petunjuk dibawah! perolehan Dollar hasil pengumpulan Anda di menu Statistic. Dollar yang dikumpulkan Downline Anda sampai kedalaman 3 level. membuat New e-gold Account Passphrase. segera dikirimkan ke alamat email anda. Buka email anda dan catat dengan benar no rek egold yg telah di peroleh. Ok, anggap Anda sudah join. Maka hal pertama yang harus Anda lakukan sebelum melakukan hal lain (membaca email atau browsing )adalah LOGIN ke http://www.surfjunky.com/?r=shodiqfm dengan username dan password Anda. Klik Menu EARN MONEY di member area. Kemudian Klik "Click Here to Start the Surf Junky browser!" Maka halaman iklan sponsor pertama akan terbuka, biarkan saja berjam-jam selama Anda mau karena akan bekerja secara otomatis membuka halaman iklan berikutnya. 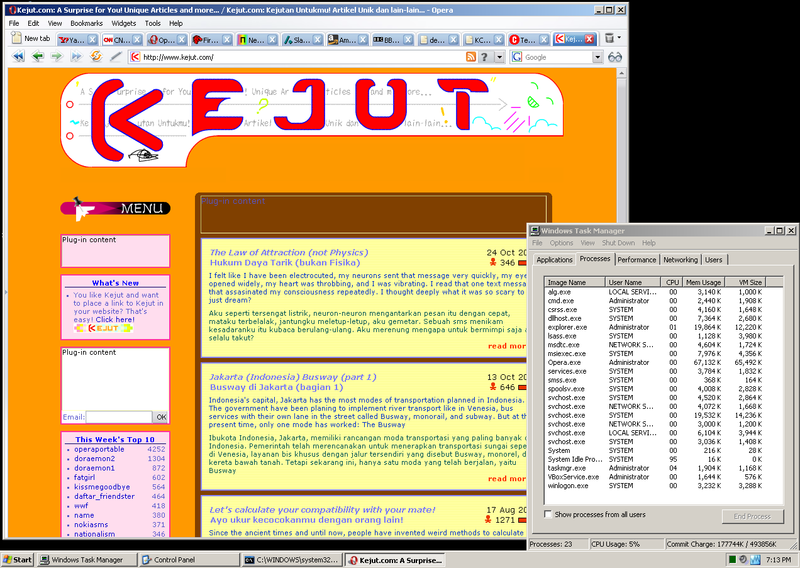 Minimize saja karena Anda akan membuka email atau browsing. Dari sinilah Dollar akan secara otomatis anda kumpulkan dan akan masuk ke Account E-Gold setiap mencapai $25. Anda bisa kapan saja periksa perolehan Dollar hasil pengumpulan Anda di menu Statistic. Sampai di sini dahulu sampai bertemu lagi pada program mendulang dollar gratis lewat program gratis dari saya. 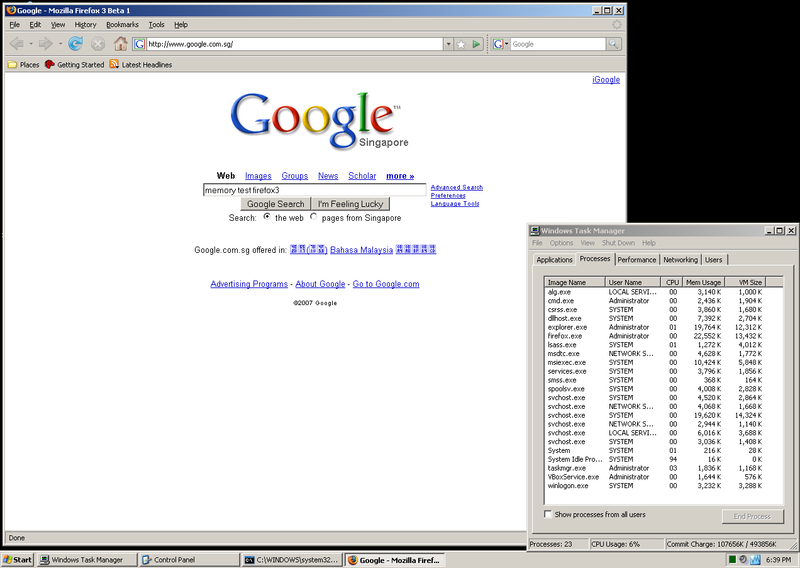 what i see from it that opera9 is almost the best? With turbo mode disabled (type about:config in the address bar), Opera uses much less memory and does not seem much slower. Daftar Penipu di Intenet: SCAM!!!!! 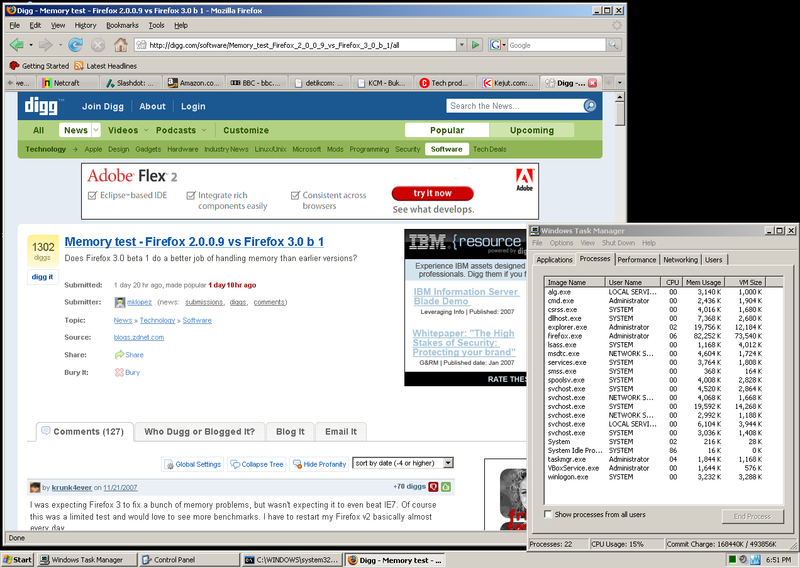 is your firefox 3 installed with plugins?